Normal and Heroic difficulty modes of Battle of Dazar’alor are now open, and both provide both Horde and Alliance players with unique encounters for their faction—along with the opportunity to play through events from the opposite faction’s viewpoint. Along with epic new gear, players will also be able to collect two new mounts and three new pets. Though she commands a variety of magical powers, Jaina has always been most proficient at summoning powerful elementals of water and ice. There is a story told to some children that all winged creatures were unable to fly until Pa’ku provided enough wind to lift them off of the ground. The large plates on the back of this lizard are made of a mysterious but highly conductive material, making it ideal to charge up and expel massive amounts of electricity. 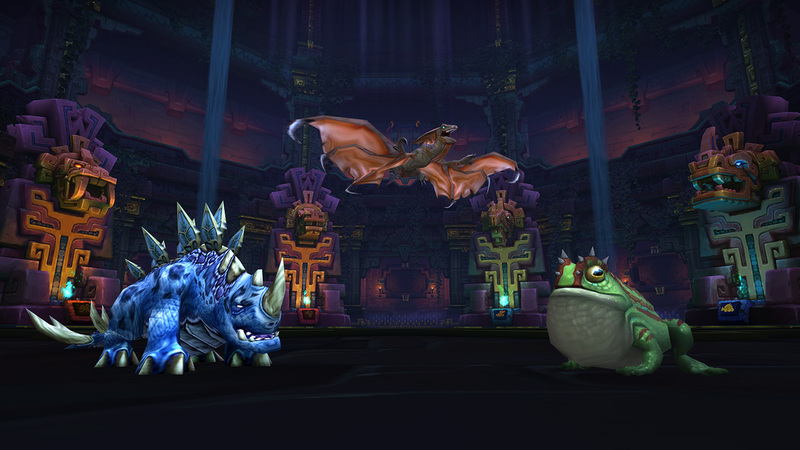 A toad with Krag’wa’s bloodline has an average expectancy to leap over seven million times during its lifetime. 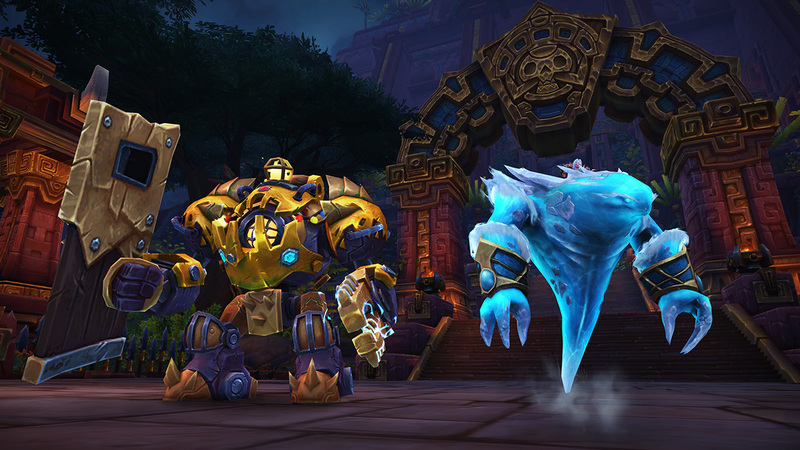 To learn more about Battle of Dazar’alor, read the full raid preview here.